Eden Lodge was exclusively built with local material (stone walls, local wood, ravinala roofs) thus preserving the site and limiting transportation of material. 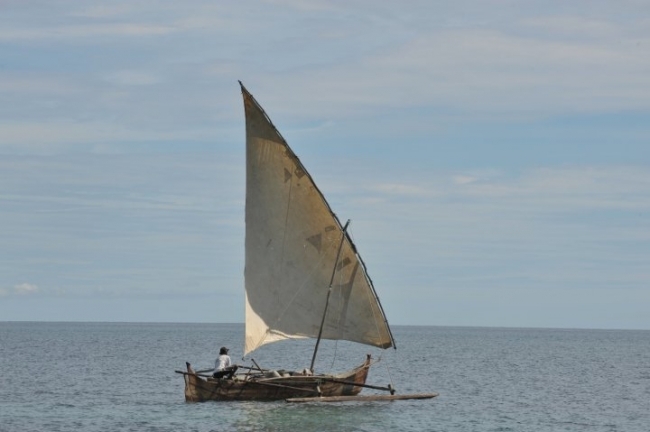 Transportations made mandatory where done by dhows therefore avoiding useless C02 emission. The hotel produces 100% of it's electrical needs thanks to a solar power generator. A local solar power equipment company was chosen to install the solar power generator capable of producing 6 KWC. Such a capacity makes it one of the most performant solar power generators in Madagascar which required a 100.000 Euros investment. We know project to double this power capacity in 2012. Water from the depths of neighbouring hills is pumped by two solar powered pumps. It is then kept in an airtight, 10 000 liter cistern. This levy, rapidly compensated during the rain season, supplies the hotel and now, the nearby village.